The Jacksonville MSA is a five county metro area located in northern Florida, with the anchoring city of Jacksonville, which is the most populated city in the state. It also has the largest land mass of any city in the continental United States. Jacksonville is a port city in the northeastern Florida. It is the largest port in the south, and one of the largest ports in the nation. 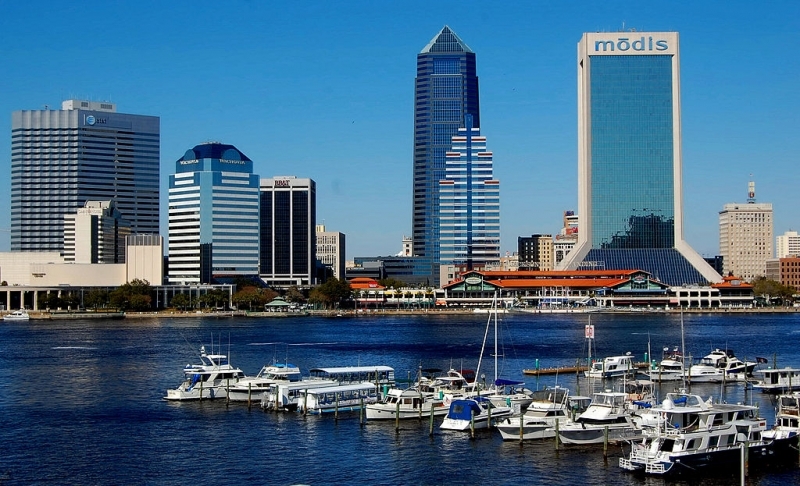 Jacksonville, the anchor city of the Jacksonville MSA, has one of the highest percentages of its population living in the metropolitan area's anchor city in the country. Jacksonville is the most populated city in the state of Florida, and is the 12th most populated city in America. Jacksonville is the largest city in the continental United States at over 840 square miles. Jacksonville has the largest deep water port in the South, as well as the second largest on the East Coast. Approximately fifteen percent of the population of the Jacksonville metro area speak a language other than English at home. Asians are the area's largest ethnic group, comprising approximately 40% of the foreign-born population. The greater Jacksonville area is estimated to have the country's tenth largest Arab population. The greater Jacksonville area has the largest Filipino population in the state of Florida. Jacksonville has one of the top ten largest Bosniak populations in the country at over 3,000 people. Jacksonville's immigrant population has steadily increased since the early 1990's. The city has seen significant increases in its European, Latino, and Asian immigrant populations. It is estimated that by 2050 approximately one quarter of the population will be foreign-born. Because Jacksonville is a port city that is relatively close to South America and the Caribbean Islands, the Latino population in the city has grown at a steady rate. Jacksonville welcomes large numbers of immigrants from Islands such as Cuba, Haiti, Jamaica, and the Dominican Republic. The influx of Latin American immigrants is a large reason for the recent increase in the city's foreign-born population. The largest ethnic group in Jacksonville are Asians. Over the past two decades, the Asian immigrant population has more than doubled. Many of these immigrants come from southeast Asian countries such as Vietnam, and the Philippines, which are two of the largest people groups in the metro area. With a decent job market, and an affordable rate of living, the steady flow of immigrants from Asian countries is expected to continue on into the future.